Your jumping will be absolutely silent and disturb no one thanks to the modernised spring system and the flexible polyurethane nozzle. It's a relatively heavyweight product. 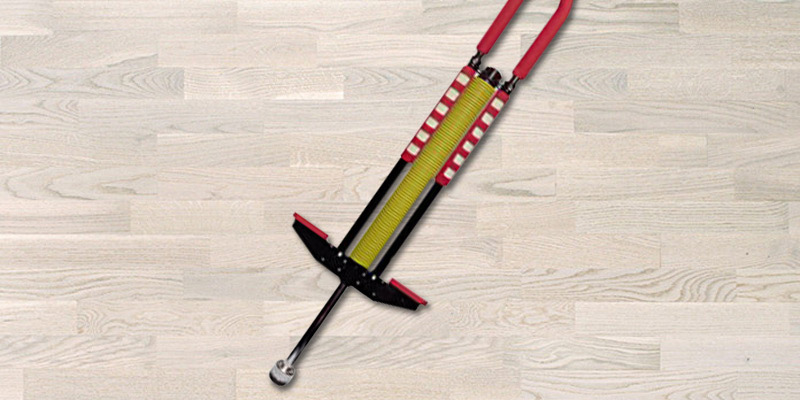 The sturdy and reliable Think Gizmos jumping stick will help you leap as high as 1.5 metres. This will both improve the physiques of adults and kids and bring tons of joy to any jumper. This product is self-lubricating so it won't need any maintenance at all. This model may be tough to jump on for new users. 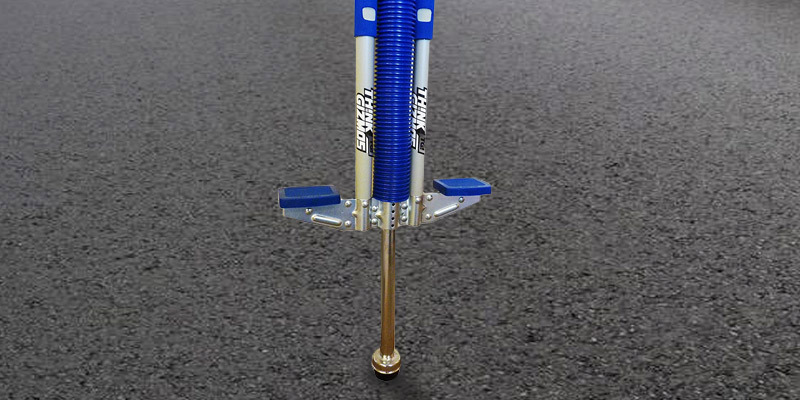 The Toyrific pogo stick comes fully assembled for your convenience. 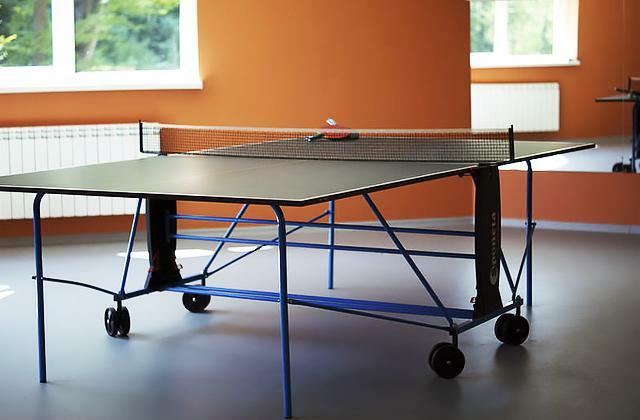 It has a stylish and very simple design but it can still withstand the weight of an adult. The rubber bumper is detachable and can be replaced with a new one after some use. This model is extraordinarily sturdy with a flexible but hard spring that will serve you for years even with intense use. This would be best suited for a child of 7+ years. 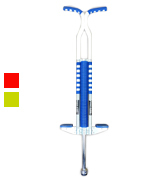 The Ozbozz pogo stick is not only a great plaything but also a good way to develop your vestibular apparatus. It's a great pick for both experienced and amateur jumpers. It might not be the optimal model for an adult but it will bring heaps of fun to any child. 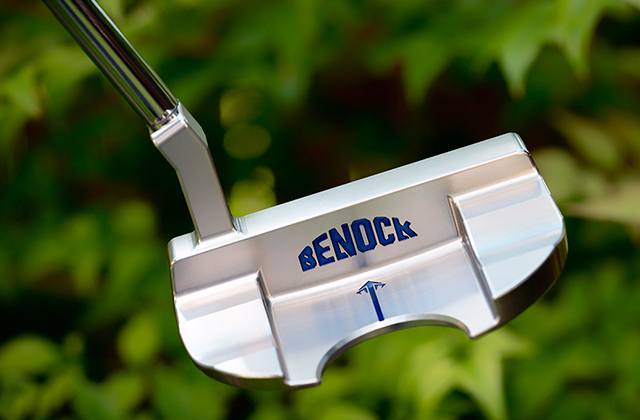 The unusual shape and anti-slip handle coating provide optimal grip. 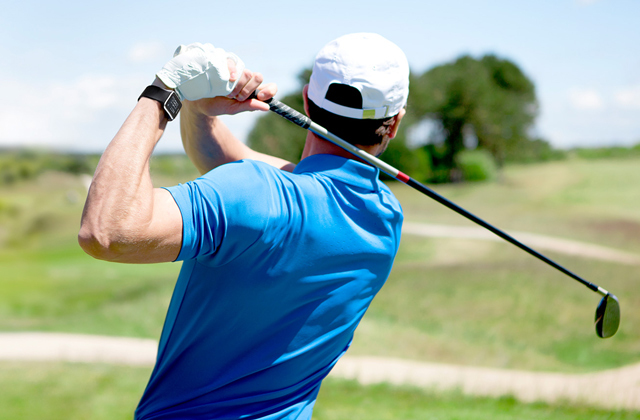 Your hands won't get tired even if you play all day long. The footholds are a bit narrow. Jumping on this stick will help anybody that's starting out to develop their coordination and balance. After mastering jumps in place, you can slowly transit to actual movement and leap over hurdles. This model comes in 3 colours. The wide and firm footholds with ribbed surface ensure the user's complete stability on the jumping stick. The white nozzle on the metallic rod stains really easily. This bright workout "machine" will activate all of your core muscles, boost your endurance and agility, and amuse both adults and kids. It's the safest-to-use Toyrific in casual clothes, gym shoes, and, if possible, a helmet. The model is available in two colours. Even when you’re choosing something as simple as a pogo stick, the quality aspect of a product shouldn't be overlooked since most often than not it also means safety. And if you've come in the market willing to get the best of the best and do not want to compromise on anything - we would recommend you to go for the Think Gizmos XN010. 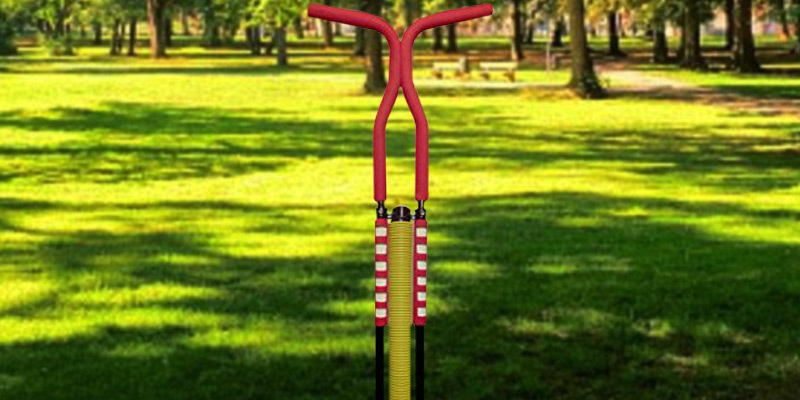 This model of pogo stick stands out with its low friction spring that makes each jump as quiet as possible. That way, your children can safely use it anywhere and anytime they want without disturbing people around, even though it weighs slightly more than many other pogo sticks out there. Not all pogo sticks are fitted with this type of spring which makes the Think Gizmos XN010 one of the better options on the market. 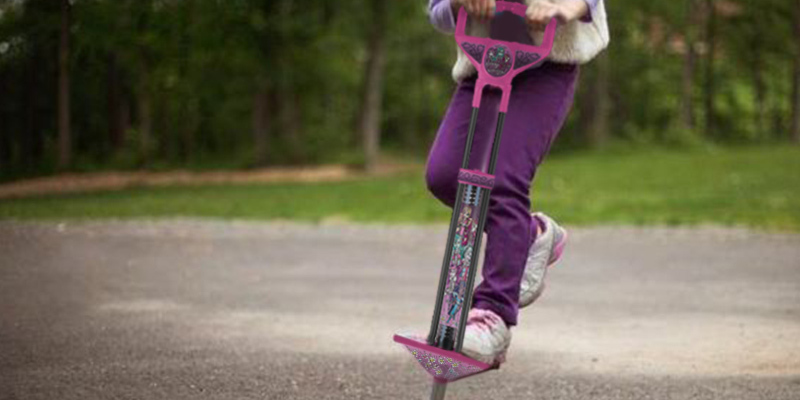 In view of the pogo stick's jump potential of 1.5 metres, it will meet the needs not only of your growing child but yours as well. It can hold up to 72 kg of weight and if you fit these parameters, you can jump on it safely without holding yourself back. It's enclosed in a reinforced metal frame and has anti-slip foot pads adding a safety precaution to this pogo stick, which is especially important if you buy it for your kid. Advertised as a pogo stick for children and adults, it's intended for users 9 and up. With this pogo jumper, your child’s health and physique will surely improve as he will be able to develop a good sense of balance and coordination through jumping, not having to use any additional sporting gear. This will also help strengthen your child's vestibular apparatus for extra health benefits. Speaking of the benefits of the Think Gizmos XN010 pogo stick, it arrives fully assembled making it perfect for everyone. Upon unpacking the box, the stick will be ready to use so you or your kid can start using it out of the gate. 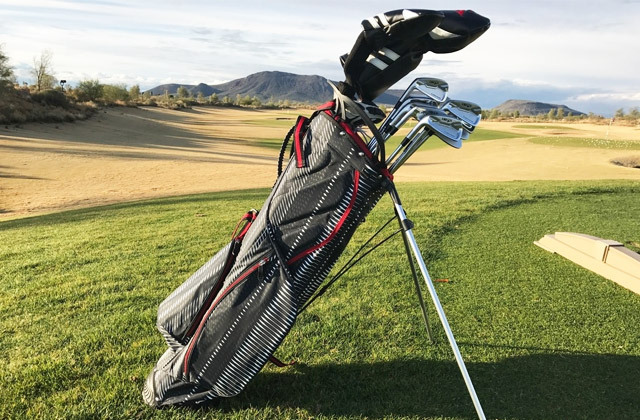 You won't need to worry about chafing as the handles on this stick are covered with a rubber foam that doesn't slip and ensures a soft and comfortable grip. That way, no matter how long your child will jump on it, his hands won't get tired and chances that he might fall off the stick are virtually non-existent. All this, coupled with anti-slip footrests, means that your kid can play safely even without an adult's supervision. But if you'd like to get some additional security, you could get a helmet for your child. 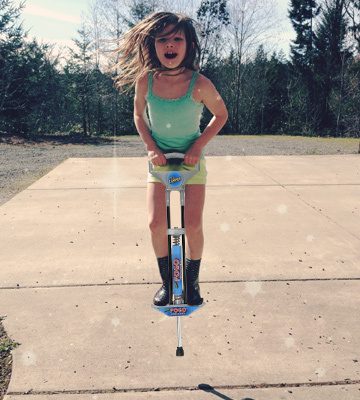 In view of all the benefits, the Think Gizmos XN010 pogo stick is a truly unique product that can bring you and your child a mix of everything - fun, exercise, and excitement. 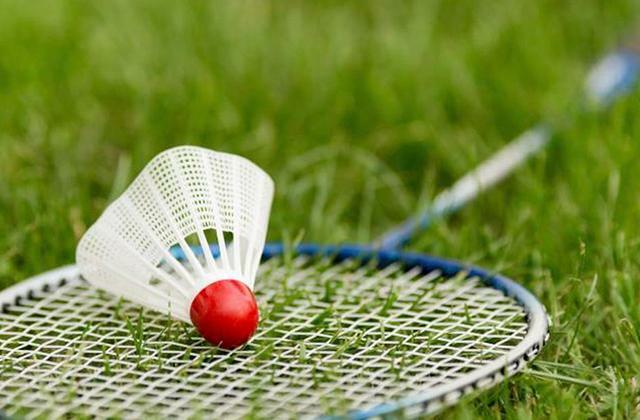 Choose this and add some diversity to your family outdoor activities. And if you'd like to preserve the memories of your child’s growing up years and capture him jumping on the stick, take advantage of the action cameras that can grasp an action at any particular moment. 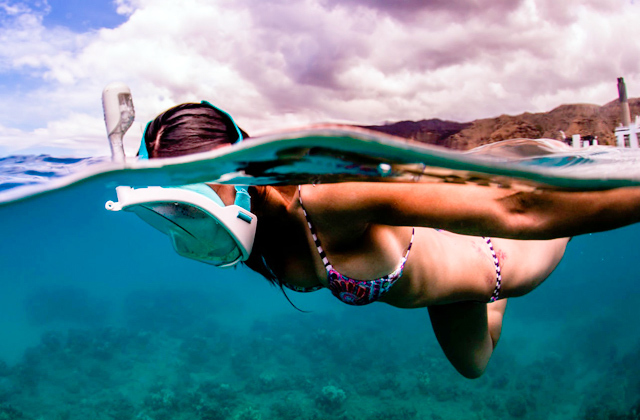 How to choose and buy the best action camera you can read here. 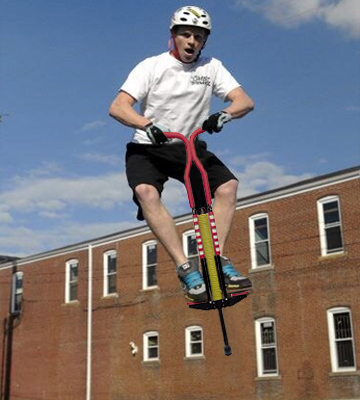 If you are experienced enough with a pogo stick you likely know that it can also be used for extreme stunts and sports. And if this is exactly what you want to use a pogo stick for, you need to look towards something like the Krunk KR/204-465, a sturdy and smartly designed pogo stick intended for agile and capable jumpers. 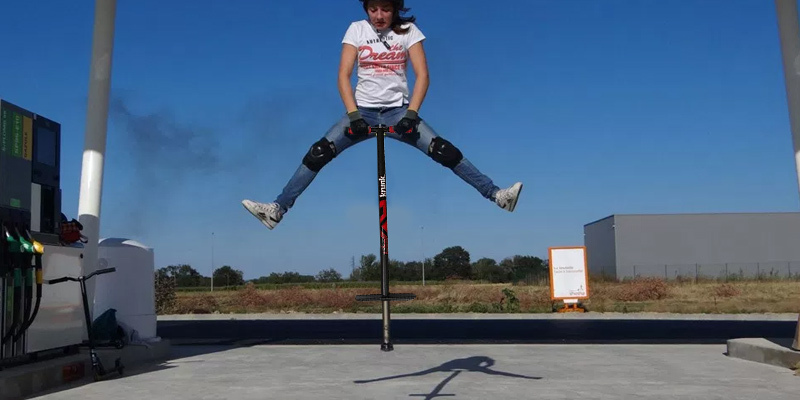 And while this model of pogo stick may turn out to be too much for someone with no experience, it will certainly be an amazing choice for any sports enthusiast. 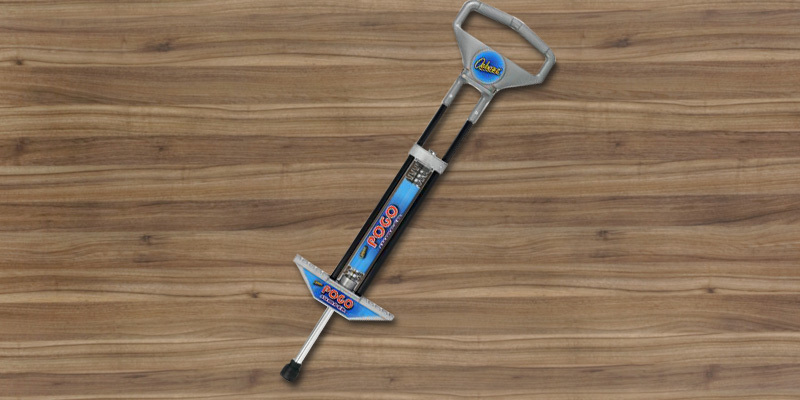 Despite the fact that this pogo stick weighs something around 3.1 kg, it is still capable of supporting up to 80 kg of weight, an impressive capacity for such a small device. 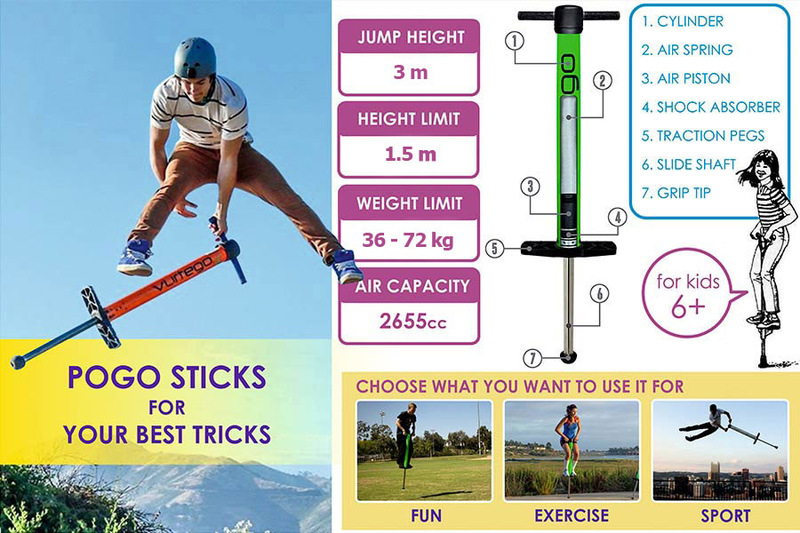 This also means you can jump on it higher than on most other pogo sticks and do not worry about damaging or breaking it which makes it an ideal solution for extreme sports enthusiasts' needs. That being said, it doesn't mean that the Krunk KR/204-265 cannot be used by a child. As long as you keep an eye on your kid and he has at least some experience with physical activities, he should be able to get the hang of the stick pretty quickly. Thanks to the robust construction and textured alloy footrests, your child will learn to balance and jump with confidence. 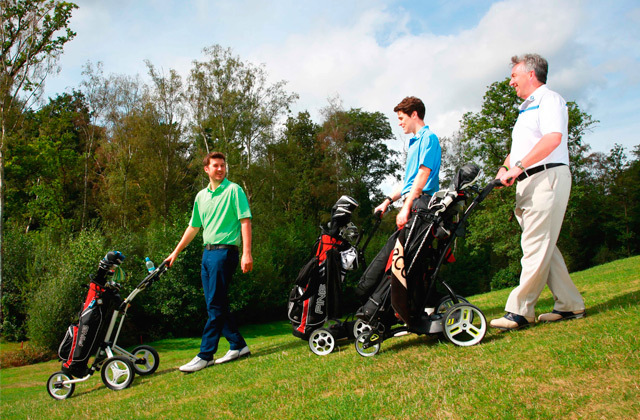 However, for your peace of mind, it'd be best if your child wears a pair of golf shoes with spiky rubber soles. 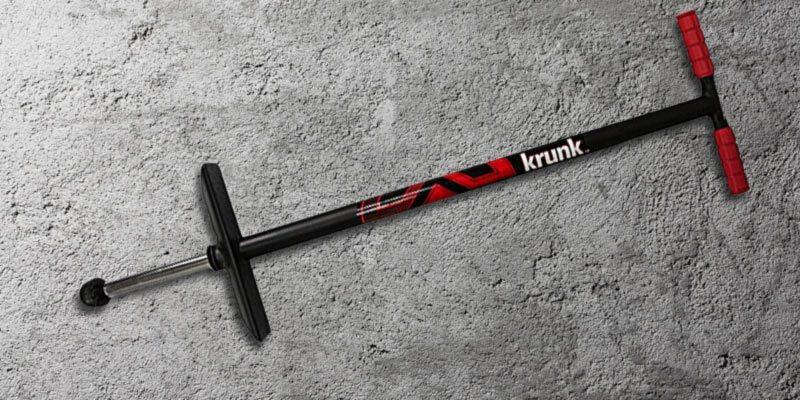 One of the other advantages to buying the Krunk KR/204-265 pogo stick is that it is very easy to assemble as it comes pre-assembled and requires no additional tools. In less than a couple of minutes, you'll be able to get on it and jump. Another strong selling point of this stick is its solid construction comprising an extra sturdy frame and footrests. You can be sure they will serve you for many years without cracking or breaking. The rubber bumper that you will land on is easy to replace so even if it wears out (which might happen after several years of use) it won't be hard to pop it off and put a new one instead. Although we do doubt it's going to happen since the bumper here is made of a top-shelf rubber that will preserve its bounciness for a long while. And if you still hesitate, the following argument should help set up your mind in favour of the Krunk KR/204-265. The stick in question is one of a few options out there that comes self-lubricated, meaning it requires no maintenance and will keep the spring oiled without applying any grease. All you're left to do is hop on the stick and have fun. Overall, if you want a pogo jumper for stunts or extreme sports, no matter whether you’re choosing it for yourself or your child, the Krunk KR/204-265 is an amazing choice that will not disappoint you. When picking out a toy for a child, its appearance or design is probably one of the key parameters parents usually pay attention to. If a product looks solid and robust, chances are it won't snap on the first use and serve for a good while. The Ozbozz N06391 pogo stick is that type of products. It has a unique construction that emphasizes its quality and longevity. And it's one of the best choices for children use. With the weight of 1.92 kg, it will fit small hands like a glove. While the Ozbozz N06391 will provide endless fun to your child it will also contribute to his physical development allowing him to get stronger, agiler and healthier. Jumping on the stick isn't only about laughter and joy, it can also give a very good exercise. Which is why if you've got a teenager-son or daughter, buying the Ozbozz N06391 can be a first step towards making your child live a more active life and spend more time outdoors. With agile kids in mind, the manufacturer made the Ozbozz N06391 extra durable and sturdy. The stick comes fitted with extra tough footrests so that even a very active child can stand on it safely keeping a firm foothold on the stick while jumping around. The footrests are reinforced in order to last and withstand lengthy and heavy use. 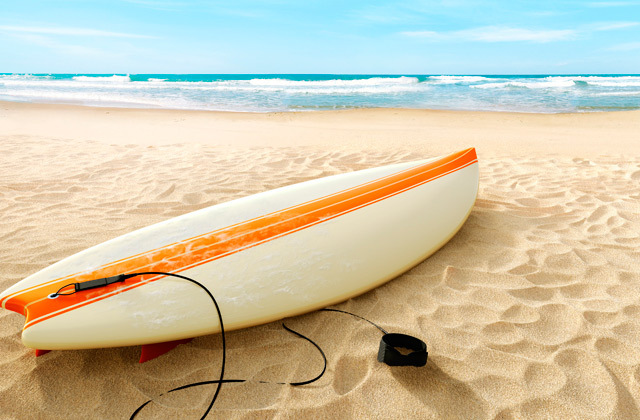 Furthermore, the stick is equipped with a replaceable stopper that features a non-slip coating so that the risks that your kid may fall off the stick and land in the mud or puddle are little to none. The stopper is replaceable and easy to snap off in case it wears out. The spring on the stick is also high quality. No matter how often your child will jump, it won't crack or break and will serve for a good while. All of these makes this pogo stick a great option for any kid who is physically active and adores to spend time with friends outdoors. Even though a pogo stick has been around for quite a long time, it’s not surprising that not everybody has had an experience with it. 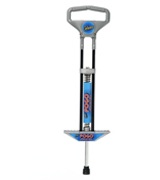 If you don’t feel like you or your child are ready for a more high-end professional model, the Denny International Powered Jump is the best pogo stick for an amateur to go for. The Denny International Powered Jump stick is intended for children and for adults with the weight of no more than 72 kg. The foot stands on the stick aren't big which may cause some inconvenience to users with bigger feet but for children 9 and up, they will fit just fine. The stick itself is rather lightweight so even if your child is small and thin, he/she will not have a problem handling it. 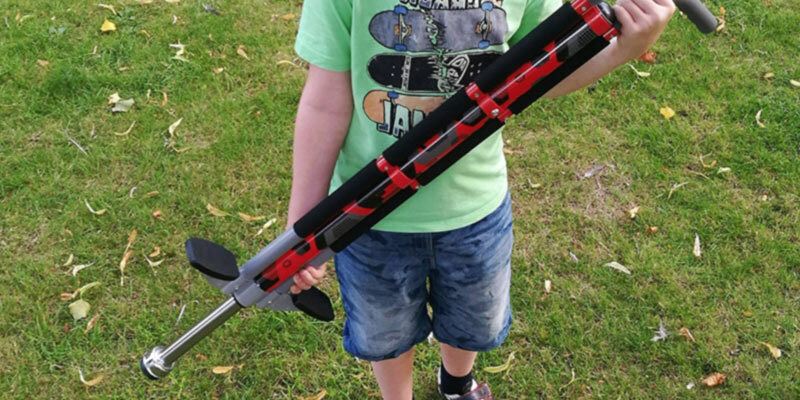 Overall, the Denny International Powered Jump stick is a good option for anyone who is looking for an inexpensive but quality pogo stick to buy for a child. Designed with newbies in mind, the Denny International Powered Jump stick incorporates a number of extra safety measures. The handles are coated with a specialized anti-slip solution that will prevent the child from losing hold of them. Moreover, this coating isn’t rough and will not chafe hands of your kid even if he jumps on it for several hours in a row. It won't be an exaggeration to say that the Denny International Powered Jump stick is the best choice for all parents who are worried about their kids' health. It is totally safe and can be used even by a younger and inexperienced child. 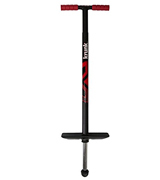 For added versatility, the manufacturer produces this pogo stick in three different colours: red, black, and white. The red one will surely attract an active child who loves to stand out from the crowd. The white one looks cute, however, it easily splotches making it a less practical solution for parents. The black one isn't as bright as red and white pogo sticks but will look good longer considering that mud and dirt won't be that noticeable on it. 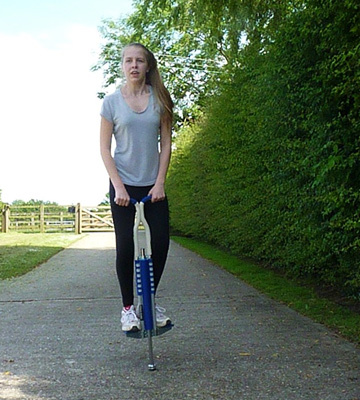 So even though the Denny International Powered Jump stick is lightweight and cannot hold more than 70 kg of weight, it can be a good choice for any teenager and child interested in getting started with pogo stick jumping. With all of the safety measures incorporated in its design, it will also suit young kids. If you’d like to get a simpler and more child-oriented toy, you should take a look at the Toyrific TY5557. 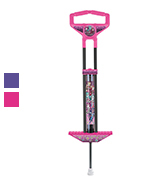 The advantage of this pogo stick is that it is available in two bright designs so that both boys and girls could choose a suitable one. 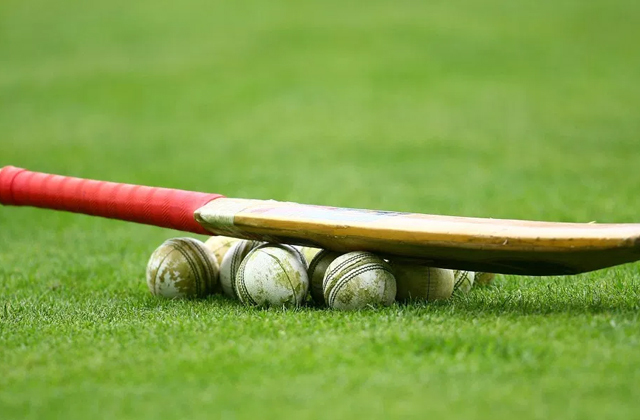 The stick coloured pink with floral pattern will come to liking to any girl, while a stick in deep blue with some cool monsters imprinted on it should appeal to any boy. As we've mentioned, the Toyrific TY5557 is intended for children. With the weight of only 2 kg, it might appear to be just too small and lightweight for a grown adult. That being said, the manufacturer states that the stick can carry the weight of a jumper up to 75 kg, meaning if your weight isn't bigger than that, you can actually jump on the stick too. For extra stability, the Toyrific TY5557 has wide ribbed foot stands which will keep the feet of your kid securely in place no matter how intensively he will jump. To us, the stands are wide enough even for an adult's feet so if you decide to jump, you can be sure that you won't fall off it either. Of course, when a child is caught up in play, he/she often won’t pay much attention to surroundings. In that case, it’s not unusual to see a child who goes home covered in mud or with scratched elbows and knees. And despite the Toyrific TY5557 is one of the safest pogo sticks for children out there, knowing how easily children get distracted during play it's best to enhance protection by letting them wear helmets, especially so when it comes to 5+ children. 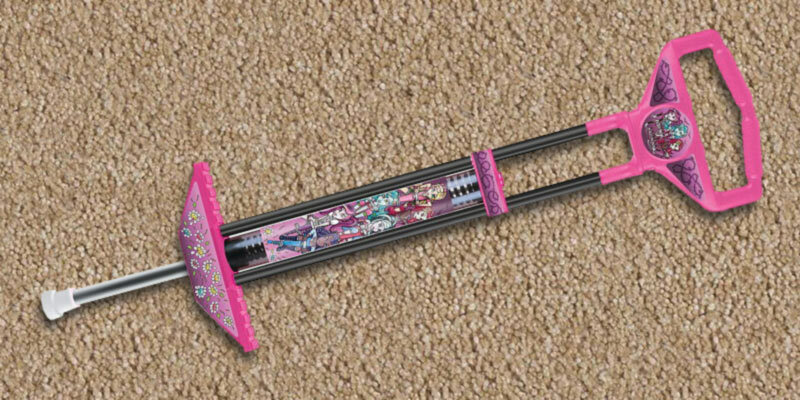 While we mostly liked design of this pogo stick, we found it a bit frustrating that the manufacturer installed a white nozzle at the end of it. It'd be much better if it were black so that it wouldn't get soiled that easily and require less cleaning after each use. In general, though, the stick doesn't have any significant flaws and will certainly come to liking to any child who's active and never sits still. Not only will it become a good reason for your children to go out and spend some time outdoors, it will also contribute to their physical development strengthening muscles of their legs and arms and improving balance and coordination. For parents, the good news is the stick doesn't cost a fortune. It is available at a very low price so that everyone can afford it. 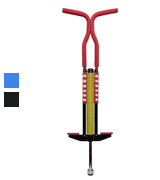 If you were thinking about buying some gear to get your child engaged in sports, purchase this pogo stick and be sure that your tot will not get off it soon. 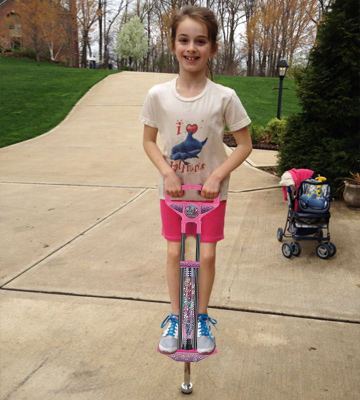 A pogo stick is a device that usually consists of a metal pole and a spring. Basically, what it does is it pushes you off the ground when you step and jump on it. Pogo sticks are very popular not only with kids who love to jump to and fro, but also teenagers and adults, who want to add some fun to their sports activities. That there are now such a variety of stunts that can be performed with a pogo stick only proves the point. So despite such a simple construction, these sticks are at their peak popularity. If you travel a lot and adore active recreation, you should definitely take a look at our review of folding bikes, compact bycicles that are easy to store and transport. For daredevils loving performing different stunts we'd recommend reading our review on the popular models of skateboards that we've carefully selected for you. 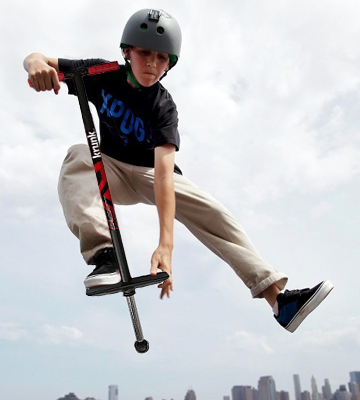 The first thing you should consider when choosing a pogo stick is what maximum weight load the chosen device can hold. Usually, this weight is stated in specifications. If your (or your kid's) weight is bigger than the recommended one, you may experience a weaker jump or be unable to jump off the ground at all. It is better to choose the stick with accordance to the weight of the user so that it could serve for many years to come and become a real pleasure. No matter how good your balance is, there is always a chance of losing it midair. No good outcome will follow such thing, which is why you should check the recommended age of the item. If it says that kids of 10 and up are good to go, then it means this model is safe enough for kids. Though, it doesn't mean you shouldn't take care and ignore cautiousness. Some models are able to be customized for a person of a specific age. One could think the product's weight and size are the least important parameters in that matter, yet it would be a mistake to presume so. Pogo stick is something that is usually taken with. And here comes the question - how convenient it would be to transport such a device? Well, it depends only on its size and weight. If it's light enough, not only will you be able to manage without a vehicle, you will also be able to trust your kids to carry it. If it's not, then make sure it will fit your trunk. The question of the true creator of the pogo jumping stick is still up in the air even today but not because we don’t know about the author. On the contrary, we know when the patent was given out and to whom and we can even pinpoint the day of the patent. The complications lie in the fact that the device itself has been in use for many years prior to different variations. It’s quite possible that, if you trace it back far enough, the basic jumping stick could turn out to be something used in the far past by some impoverished people as a simple toy for their children. So, indeed, the pogo has come a long way from its inception to the exercise machine/plaything that it is today, regarded as one of the best choices to get both fun and a physical workout. Let’s say it all began on May 21 of 1957, more than 60 years ago, when George Hansburg, an American citizen from New York, was granted the patent for the pogo stick that we use and enjoy today. However, that was not the real start of the invention. An earlier model was patented by Walter Lines, your British compatriot, all the way back in 1922. Now, you may be wondering how could such an ingeniously simple design change from one version to another. 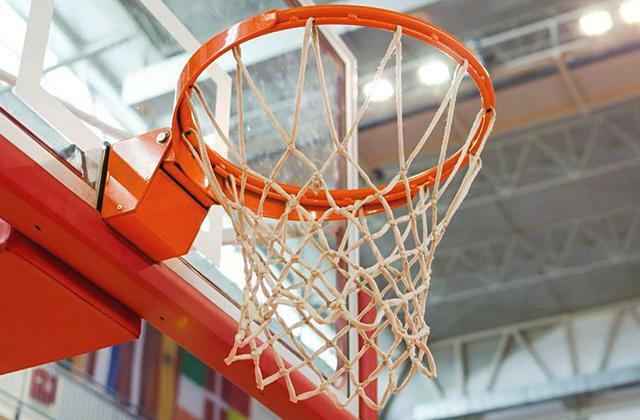 According to historical reports, the most prominent difference in the two patents was that Hansburg came up with the idea to place dual handles on top of the stick so that the jumper could have something to grip and hold on to. 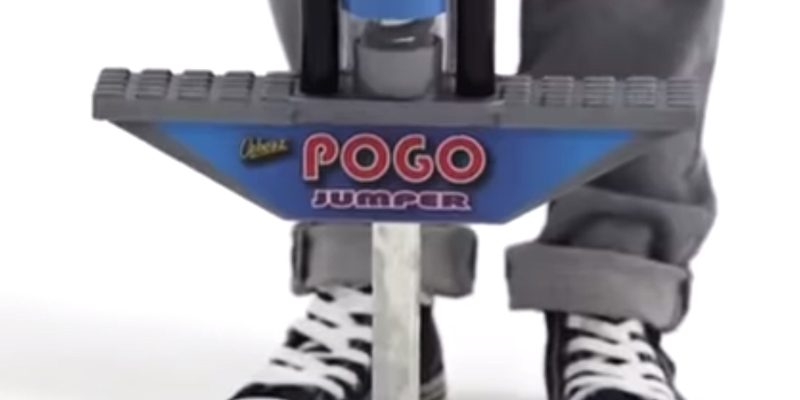 Yes, indeed, it took thirty years to invent one of the defining features of the pogo jumper. And, also, that wasn’t the beginning of this device yet. Walter Lines was iterating on an even earlier patent from Germany, issued in 1920 to Hans Pohlig and Ernst Gottschall. It’s not quite clear what Lines did to improve on the earlier version, but it was clearly enough for the patent office to think that he made some progress. Now, look closely at the names of the German inventors, see anything familiar? There is an admittedly likely theory that the very name “pogo” is a combination of the first two letters of Pohlig and Gottschall. However, when the duo patented their invention, they described it as “spring-end hopping stilt”, which does sound delightfully serious compared to what the actual product is. Hansburg, however, said that the name of the toy came from a local girl in Burma that he stumbled upon. Supposedly, the man was travelling through the less-than-striving region and met a farmer, whose daughter was quite religious and wanted to go to the temple every day. But a lengthy barefoot walk through mud and rocks was far too much for a little girl, so her father made her a “spring stick” to jump on all the way to the temple. Hansburg was thoroughly impressed and, upon returning, fashioned a stick of his own, eventually making one that was less rough and much closer to the models you might see now. So, as you see, the simple toy has a quite complicated past and many people once claimed to be the mind behind the timeless device. Nowadays, though, this has all been largely forgotten because it’s so hard to keep anything else in mind when you’re having fun jumping high on the best pogo stick you can find. Q: How high can you jump on this pogo stick? A: This totally depends on the pogo stick, its size, and your personal skills. Some experienced users can jump up at 10 feet in the air. Q: What's the difference between the sticks of different sizes? A: If you've picked the stick of the wrong size, it's very likely you will not be able to jump on it as high as you want. The first thing that you need to do before buying the stick is to look at the weight limit specified in the product description. Q: How loud is it when you bounce? Could it annoy my neighbours? A: Most of the sticks are not that loud. It probably won't annoy your neighbours. Q: Is it safe to jump with pogo sticks? A: You must see to it that your children wear protective outfit while they bounce on the stick. Knee and head protection are very much important and by no chance should be overlooked. Q: Can I use this on wooden floors? A: We wouldn't advise you to do so. The best place to bounce has always been and probably will always be outdoors. Q: How well do these sticks work on gravel surfaces? A: We wouldn't recommend you to use pogo sticks on gravel surfaces before you gain some experience, as it may lead to traumas or injuries. 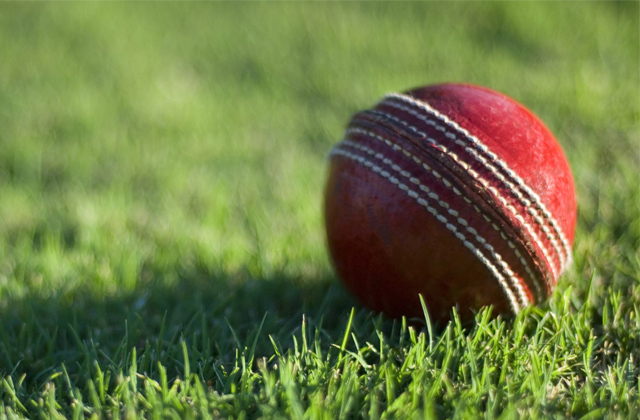 Practice on something solid and reliable, like concrete or grass. Then move on to some more interesting surfaces. 1. Pogo stick, Wikipedia. January 16, 2017. 2. Ariel Sabar How the Pogo Stick Leapt From Classic Toy to Extreme Sport, Smithsonian.com. September 2012. 3. How to Use a Pogo Stick, wikiHow. 4. William Harris How the Flybar Works, HowStuffWorks. 5. How pogo sticks bounce, How It Works. 6. Spencer Spring The Physics of Pogo Sticks, Prezi. December 8, 2013. 7. Sara Booth Physics in Pogo Sticking, Prezi. January 7, 2013. 8. Van Thompson What Muscles Do Pogo Sticks Exercise? azcentral. 9. Scott Christian 5 Weird Workouts That Actually Work, Esquire. June 16, 2015. 10. Miss Cellania Extreme Pogo Stick, Mental Floss.